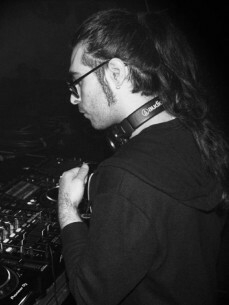 Besty Fritz, hailing from Italy and born in 1986, started to DJ in 2003. He grew a passion for music since his childhood and started to play percussion drums and watch others DJ's play music. Visiting gigs of DJ's like, Francesco Farfa, Claudio Coccoluto, Alex Neri, Laurent Garnier, Satoshi Tomiie, Carl Cox, Sven Väth, Jeff Mills and many more, he was clubbing and getting inspired from a young age. Besty xperimented with a lot of genres like, House Music, Tech House, Minimal, and Techno. He moved to England where his passion for music transformed him into a professional DJ. He developed an amazing ability to play with old and the new tracks, but as well with Dark Techno and Acid; Besty is able to combine them together in a unique way. After he moved to Amsterdam in 2011 the scene had changed and he focused on only one genre: TECHNO. Besty played at the last Amsterdam Dance Event 2017 edition at Jayzo Invites. Recently he became part of Excess The Movement, Wanderers & Sessions by Minitech Project. During his career, Besty has been the supporting act for important artists such as Ritzi Lee, 2000 And One, Ramiro Lopez, Tom Hades, Frank Kvitta, Drumcomplex and many more.